← Salma Hayek’s new hair! Apparently, I cannot wait until the birthdate of Jesus to open gifts. I had to get these lil something-somethings because the prices were right. 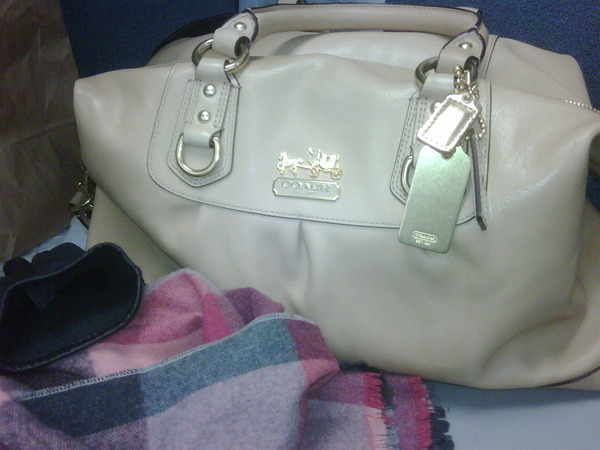 Firstly, I am not a fan of Coach handbags. My husband bought me a Carly bag a few years ago and right now, I believe it’s sitting/resting in its dustbag in my closet. Then mosey on down to my 105th pair of shoes (mind you, the count is kinda off now because I sold some/gave some away/lost them/in the trunk of the car/at work)….. you catch my drift. I need a therapist to help me with my shoe obsession. I wear them ALL and do not play favourites, depending on the weather and occasion of course. Well duh! All wrapped nicely in the bright red pretty bow. 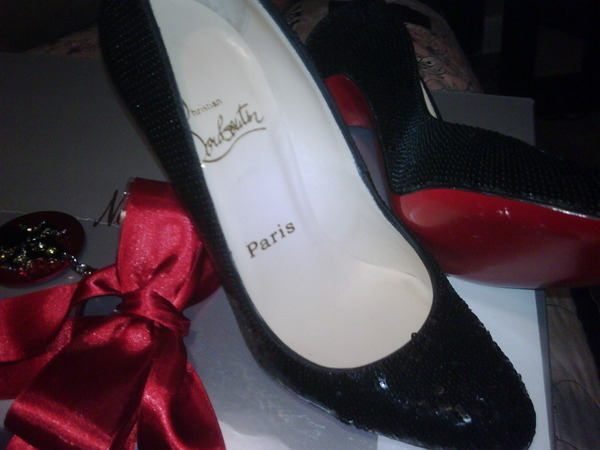 I’m sad though because the shoes didn’t come with a Louboutin box or even the dustbag. I’m writing to corporate and I will be expecting something free!